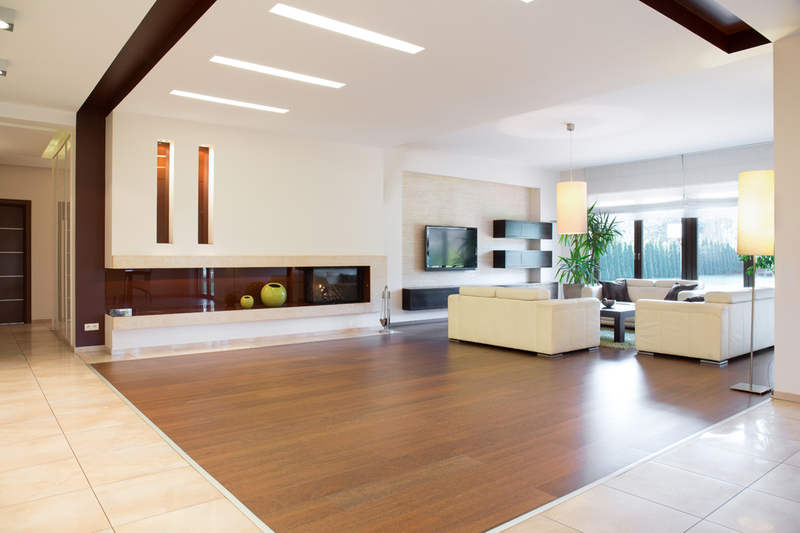 Timber and Bamboo flooring are better than ever. Humidity and environmental issues are all but eliminated in modern buildings. Talk to Knock Out Flooring. Bamboo has steadily grown in popularity over the last generation. This is because it is affordable and available in many colours; is can even be made to look like almost any classic wood. Despite its resemblance to wood when processed bamboo is actually a grass. It is also one of the fastest growing plants on the earth, being ready for harvest after about 5 years of growth. This is a much shorter growing time than traditional timber, which requires several decades of growth before it can cut and used for building. Plus, the bamboo shaft regrows from the same root, so in need not be replanted. Harvesting of wood and bamboo is environmentally beneficial. While trees and bamboo grow that absorb carbon dioxide gas from the atmosphere. Most of this carbon dioxide stays stored in the timber or bamboo when it is used as a building material. More tress and bamboo can them be grown, which absorb more carbon dioxide from the atmosphere. Constantly growing bamboo and timber trees, and then harvesting them, removes far more carbon dioxide from the atmosphere than leaving trees uncut. A fully grown tree does not absorb any more Carbon dioxide than it releases; fully grown forests are in equilibrium with regard to Carbon dioxide gas; new, growing forests absorb Carbon Dioxide until they reach maturity. Engineered Bamboo Planks – Engineered timber and bamboo is popular for flooring floors. The planks are designed to lock together, and installed over a foam/rubber underlay. As the bamboo isn’t attached to the subfloor the installation is quite quick. Solid Bamboo – Solid bamboo is made and installed in manner similar to traditional hardwood. It is fastened with nails staples or adhesive to the wooden floor frame or subfloor. This is a time consuming installation process, but the results are extremely strong and durable, often lasting for decades. Because solid bamboo is prefinished it does not require lacquer or chemical treatment. It is often manufactured with ‘tongue and groove’ edges that lock together.